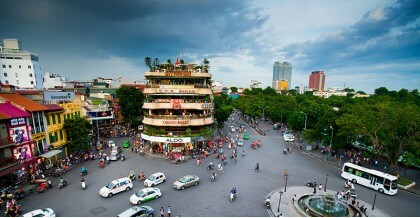 Australia and New Zealand are evaluated as two potential markets for Vietnam's tourism industry. 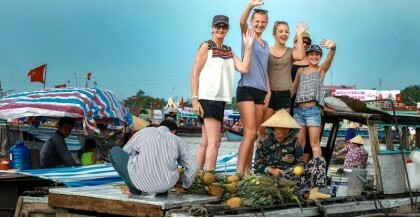 In August 2018, Vietnam National Administration of Tourism organized a program to promote Vietnam's tourism in four major Australian cities, including Melbourne (Victoria), Adelaide (South Australia), Brisbane (Queensland state), Sydney (New South Wales state) and Auckland city in New Zealand. 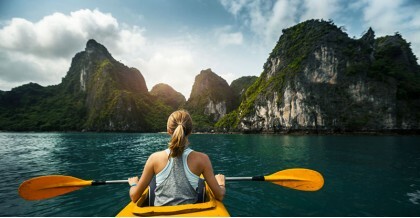 At this event, Vietnam National Administration of Tourism introduced new policies on Vietnam's tourism industry, major tourism products such as cultural tourism, island and sea tourism, eco-tourism. Introducing some famous places of Vietnam such as Son Doong Cave (Quang Binh), Dong Van Plateau Geological Park (Ha Giang), exploring Ha Long Bay (Quang Ninh) with seaplanes, Phu Quoc Island (Kien Giang) ... provides useful information for tourists, travel companies in Australia and New Zealand about the great destinations in Vietnam. 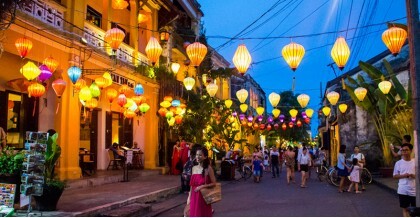 What is the appropriate time to conduct Vietnam tours from Australia and New Zealand? The time from September to March next year will be the best time to visit Vietnam, this time is autumn and winter in the North, the South is also not hot, this is also the peak season of international visitors to Vietnam. If you travel at this time you will feel most comfortable, served in the most thoughtful way, the best service and the quietest. 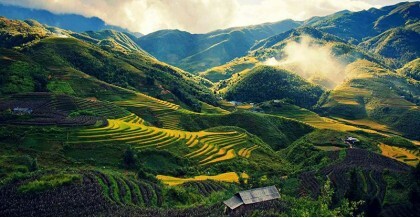 In addition, if you visit Vietnam at this time, you will experience both winter and summer in Vietnam. Vietnam is not only an attractive destination for New Zealand travelers and especially Australia, traveling to Vietnam is also very convenient for Australian tourists because there are currently direct flights from Melbourne and Sydney to Vietnam. Flights from Australia to Vietnam come from one of 5 airports: Kingsford Smith International Airport - Sydney, Melbourne Airport, Brisbane Airport, Adelaide International Airport, Perth Airport. 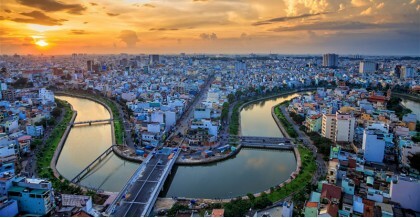 The destination is the capital of Hanoi and Ho Chi Minh city of Vietnam, the direct flight time from Australia to Vietnam is about 9 to 11 hours. Flight from Sydney capital to Hanoi is operated by Vietnam Airlines, Singapore Airlines, Silkair ... with ticket prices ranging from 295 to 492 USD. Flight from Melbourne to Hanoi is operated by Vietnam Airlines, Singapore Airlines, Silkair, Cathay Pacific Airways .... with ticket prices ranging from 350 to 492 USD. Flight from Sydney to Ho Chi Minh city is operated by Qantas Airways, Jetstar Asia, Singapore Airlines, Malaysia Airlines ... with ticket prices ranging from 325 to 550 USD. Flight from Melbourne to Ho Chi Minh city is operated by Cathay Pacific Airways, Qantas Airways, Vietnam Airlines, Singapore Airlines ... with ticket prices ranging from 329 to 448 USD. In 2018, Air New Zealand made non-stop flights every Tuesday and Saturday between Auckland and Ho Chi Minh City, using Boeing 787-9 Dreamliner aircraft. 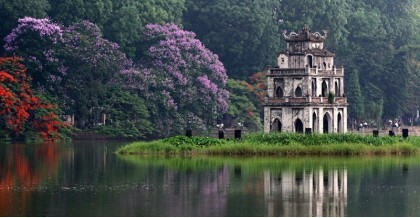 To search for flights from New Zealand to Vietnam on your schedule, please contact Air New Zealand. Besides direct flights, you can search for transit flights to a third country to get to Vietnam from New Zealand. Citizens from Australia and New Zealand need a tourist visa to enter Vietnam for tourist purposes. The best way to obtain a valid Vietnam tourist visa for Australian and New Zealand citizens is to apply for a visa at the airport. This way is currently preferred by many international visitors due to the benefits it brings, including: convenient, simple, fast processing and time saving. Visitors with this type of visa are allowed to enter Vietnam through one of 5 international airports: Noi Bai Airport - Hanoi, Cat Bi Airport - Hai Phong, Da Nang Airport, Cam Ranh Airport - Khanh Hoa, Tan Son Nhat Airport - Ho Chi Minh city. To obtain a visa of this type, you need to send your passport, schedule of arrival and departure to us, we will ask for a visa approval for you. After this dispatch, you will be allowed to board the plane and get a visa stamp at the Vietnam airport. If you have about 2 weeks in Vietnam, we suggest 10 destinations in Vietnam that you should not miss: Hanoi Capital, Sapa, Halong bay, Hue, Hoi An, Da Nang, Nha Trang, Ho Chi Minh city , Can Tho, Phu Quoc. 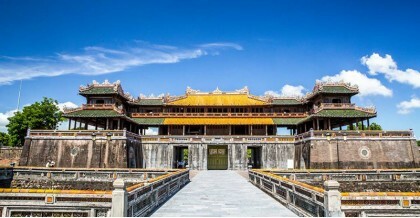 Explore the 10 most beautiful places in Vietnam, you will know there are beautiful natural attractions, the diversity of traditional culture, and the friendliness of the Vietnamese people. 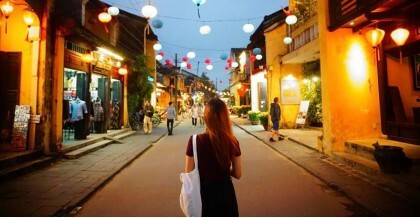 We organize everything with Tina by email to visit the 4 countries of south east asia. With a few emails back and forward Tina offered her expertise and local knowledge to recommend the perfect trip. We met up in Hanoi and never looked back. It was perfectly organized with great tour guides and drivers. Our accommodations were superb and food was magnificent. We had a brilliant organised itinerary in Vietnam with 4 beautiful cities HaLong, Sapa, Hanoi, and Hue then Siem Reap in Cambodia. When we needed S Vietnam Travel always was available. They prepared well journey where we visited where we savoured Vietnamese cuisine. I loved street food in Hanoi. It is amazing, cheap, and specific. Thank you so much again. We will come back and you are our best choice.